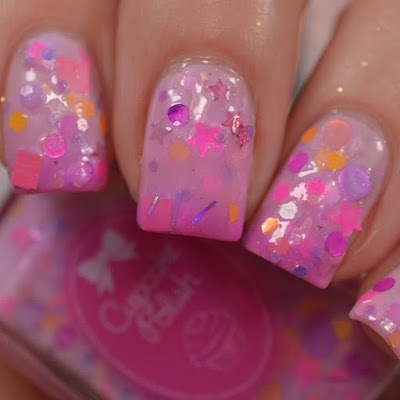 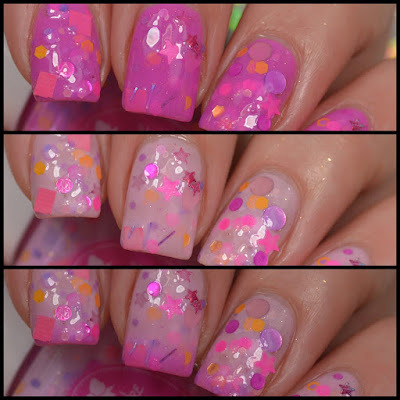 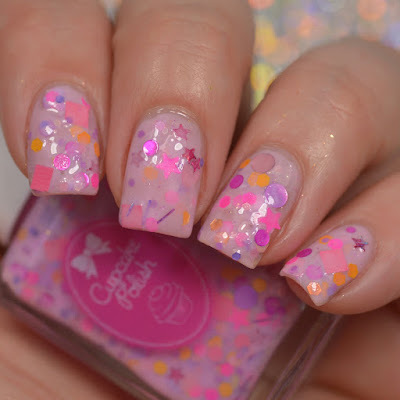 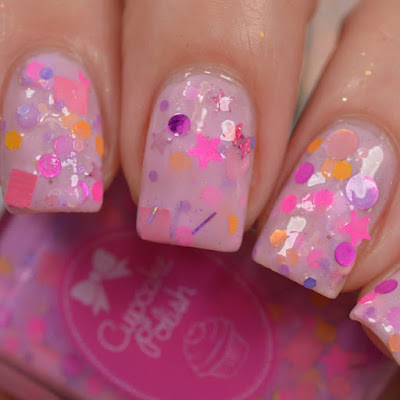 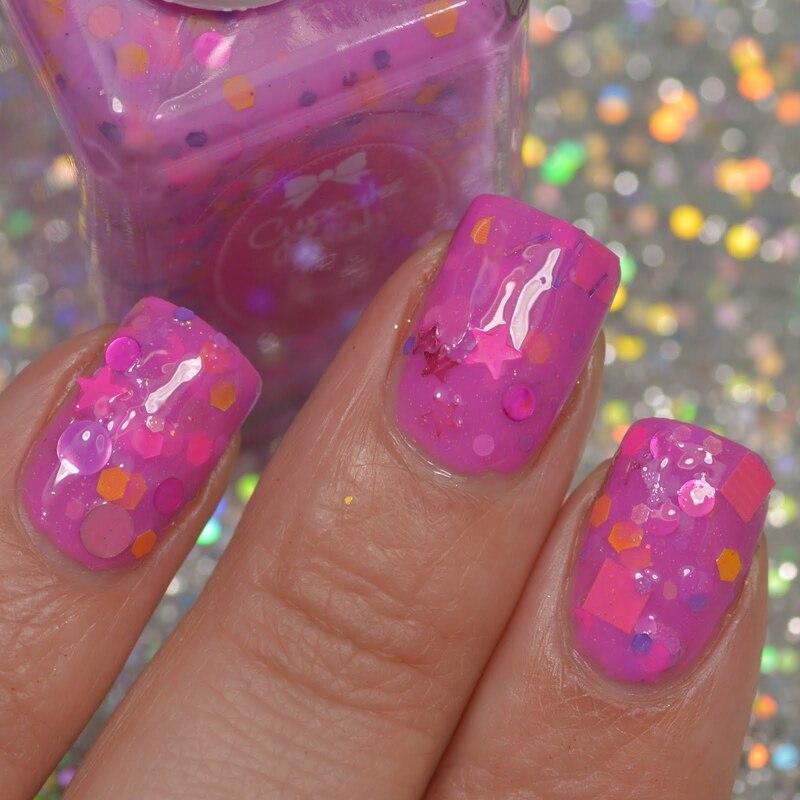 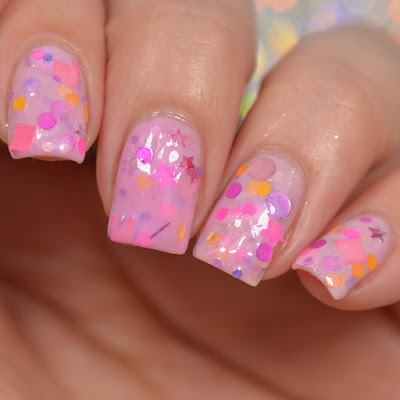 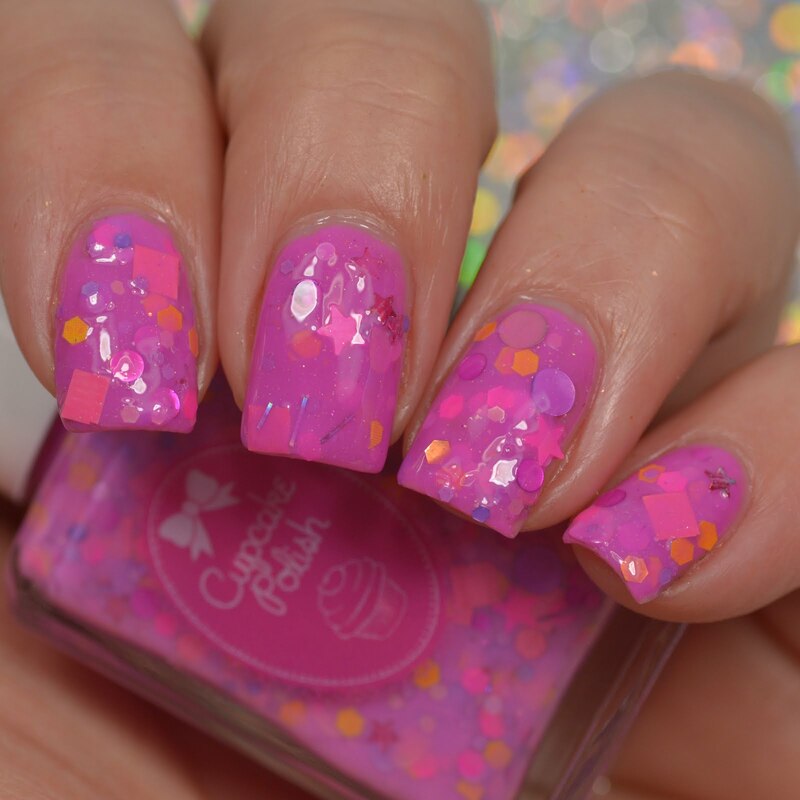 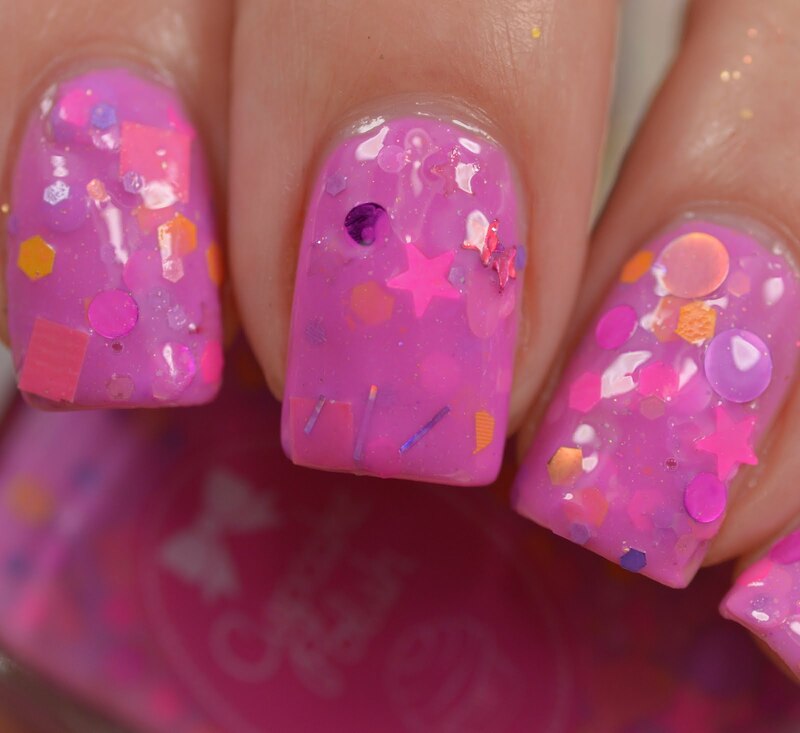 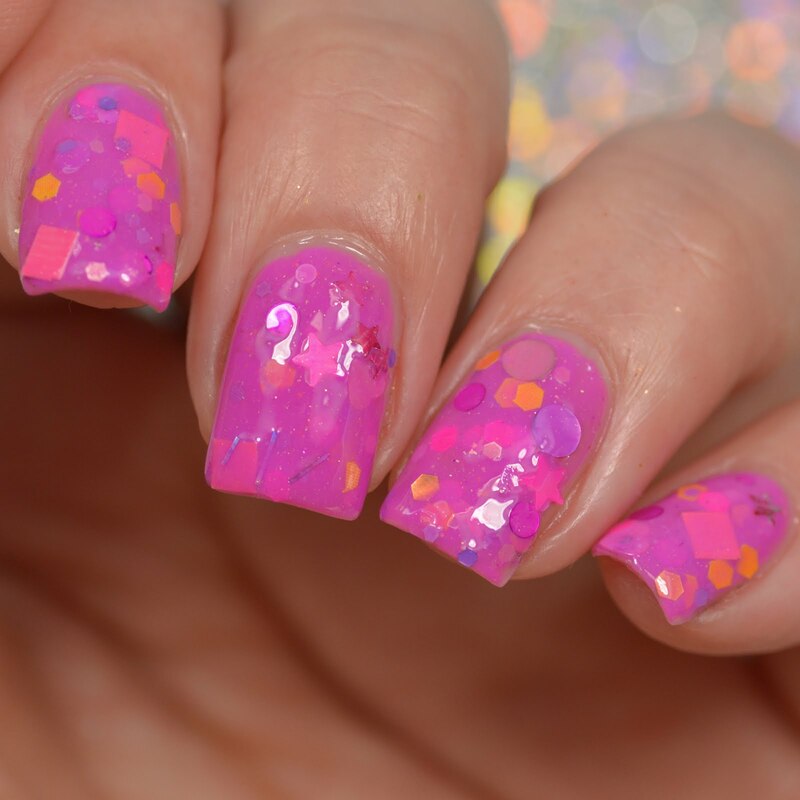 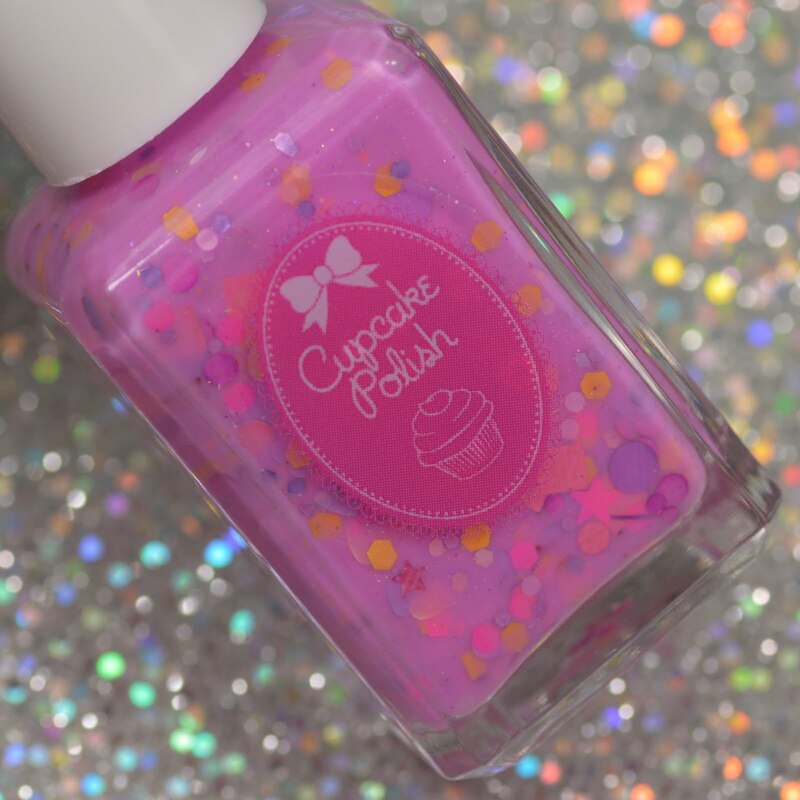 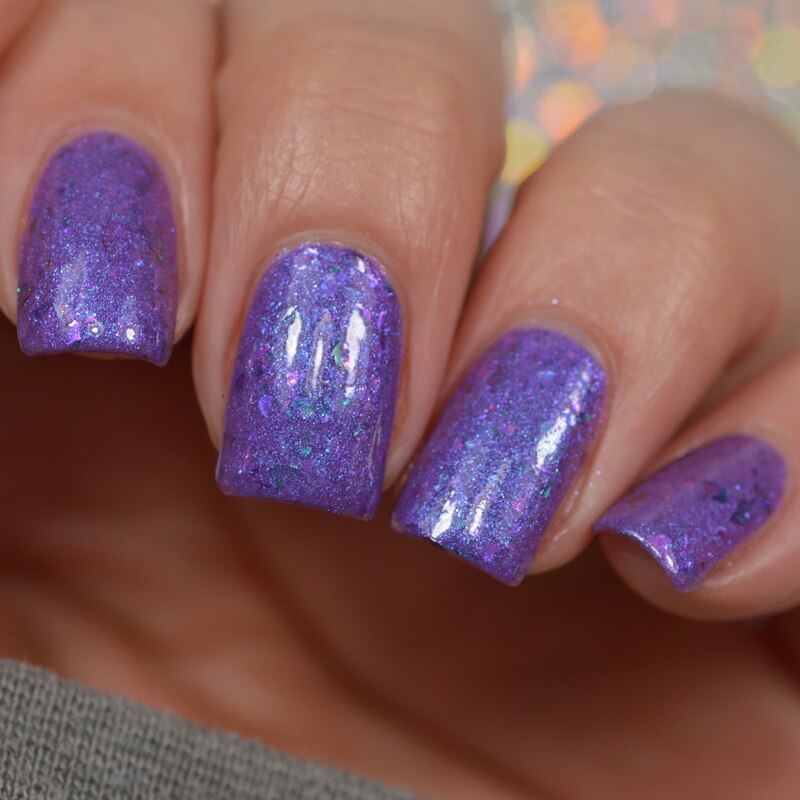 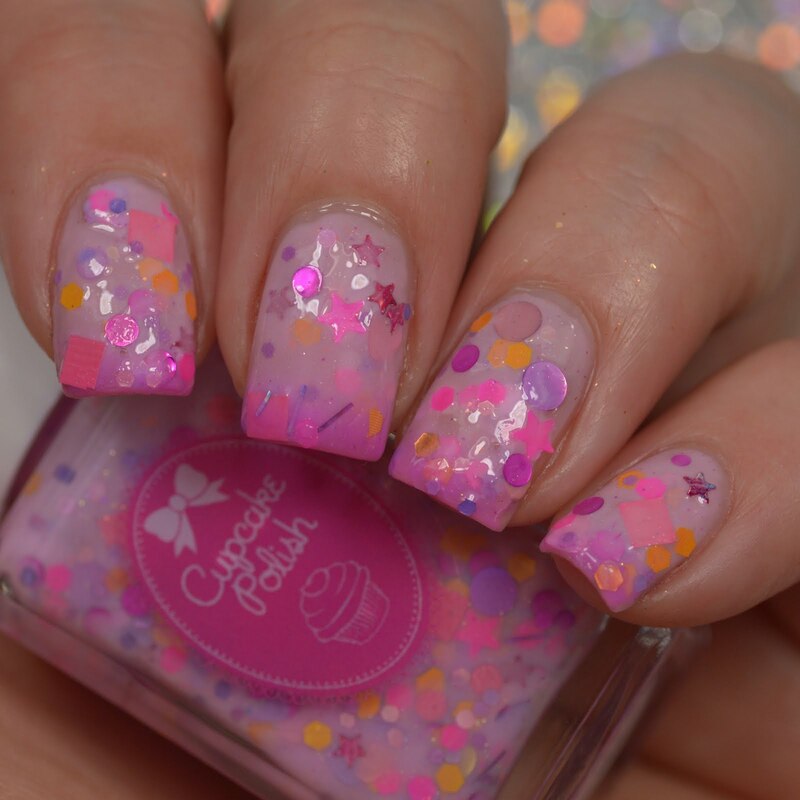 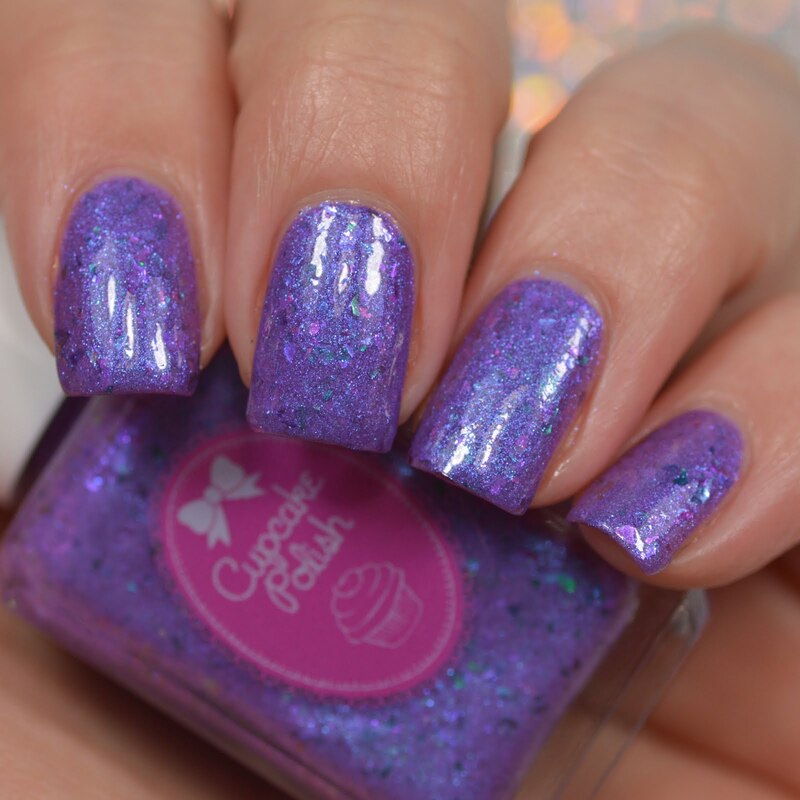 Jelly Shoes is described as a pink to white crelly thermal polish that is packed with a variety of glitters in orange, pink, and purple. 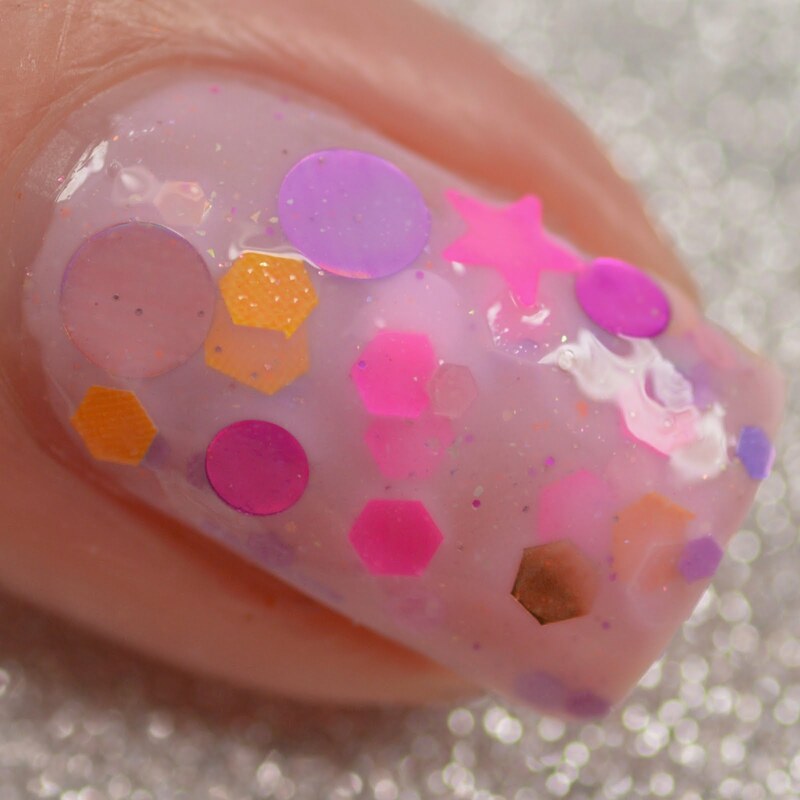 Glitter shapes include hexagons, circles, stars, hearts, squares, and bars. 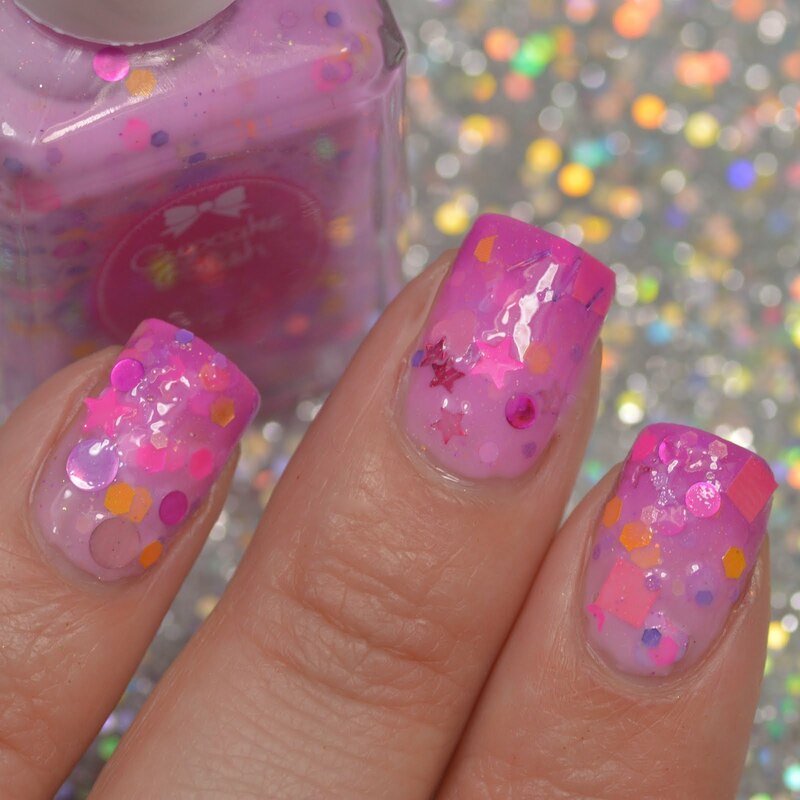 Jelly Shoes has a lot going on and is so perfect for the 90's theme because the 90's had a lot going on in terms of fashion and beauty. 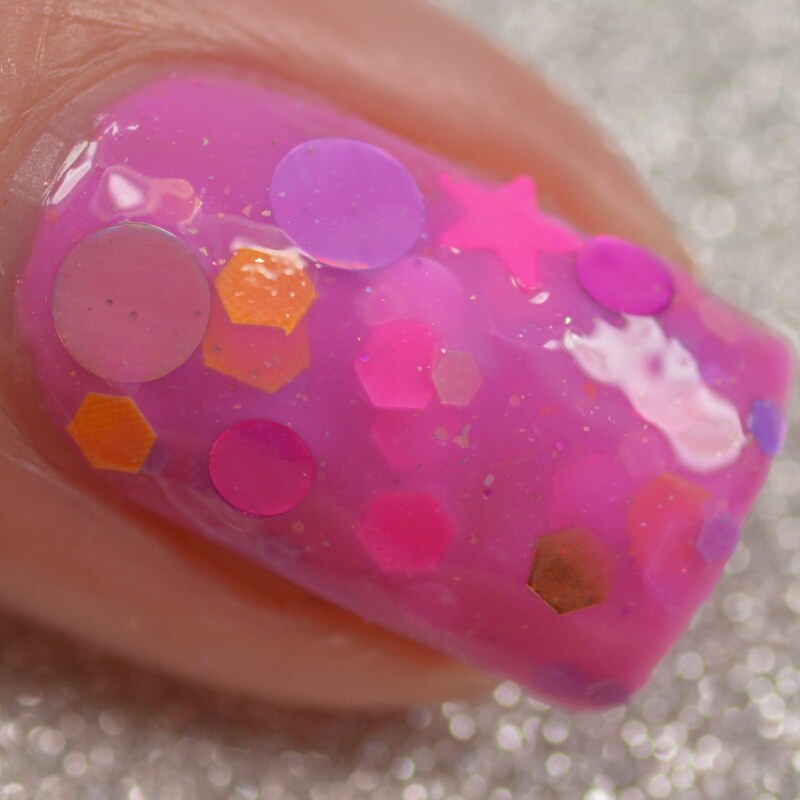 The formula was great, it went on easily. 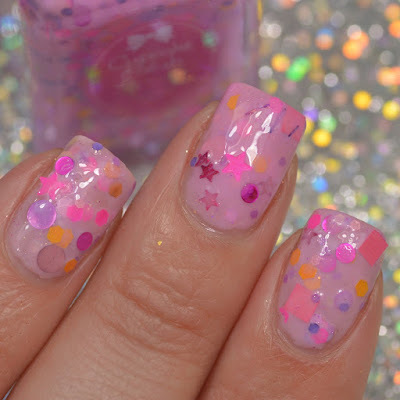 The glitters can stack up together and need a little extra time spreading things out, but it's easy to do. 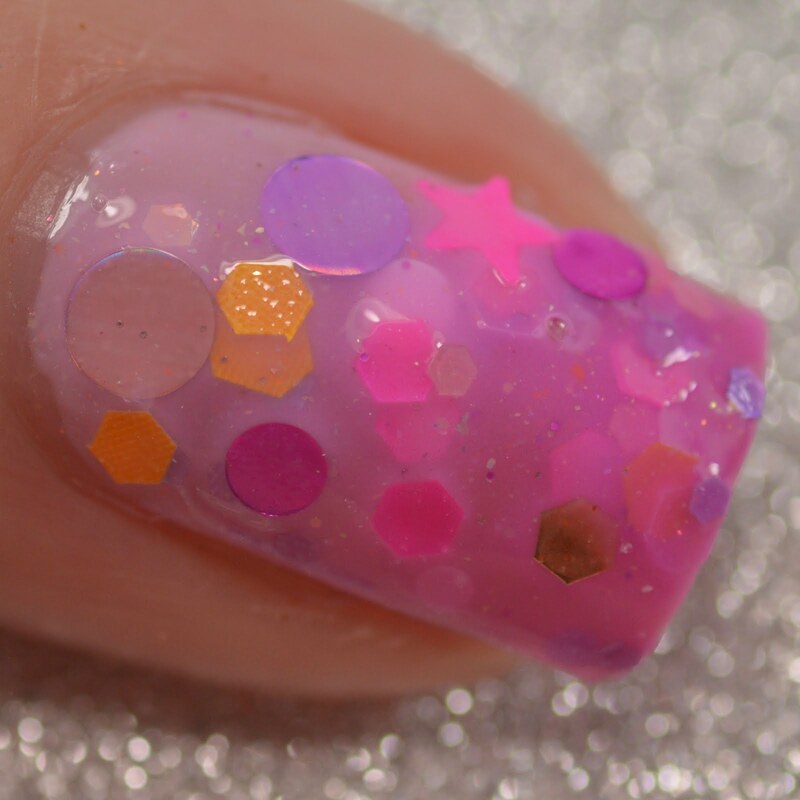 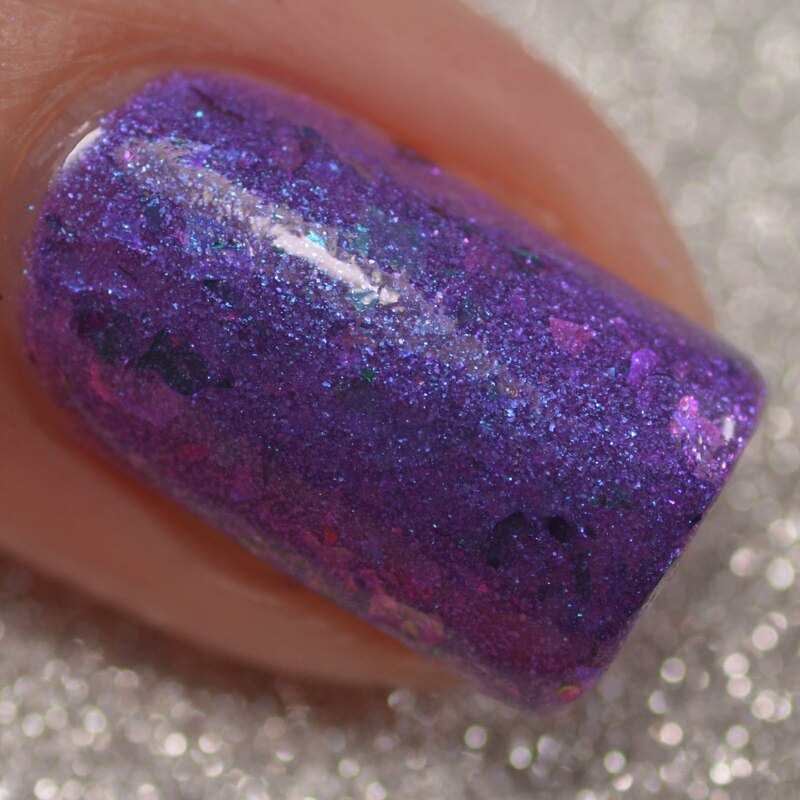 Removal was typical for a glitter polish, it will require some scrubbing or a peel-off base coat. 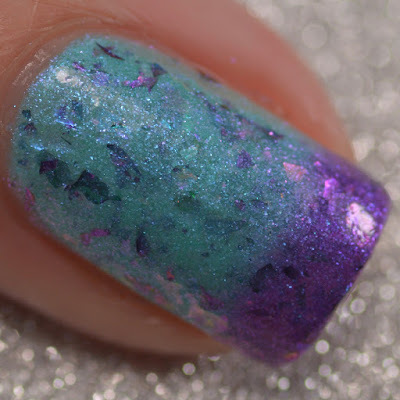 Swatches show three coats plus a glossy top coat. 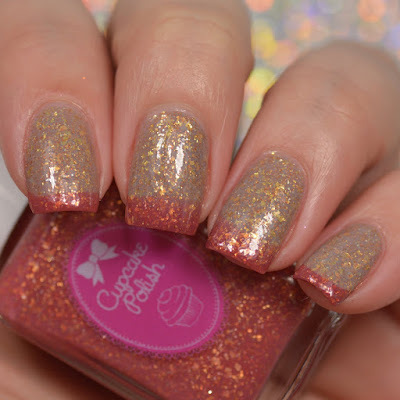 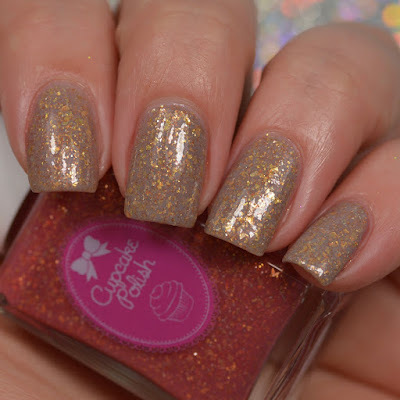 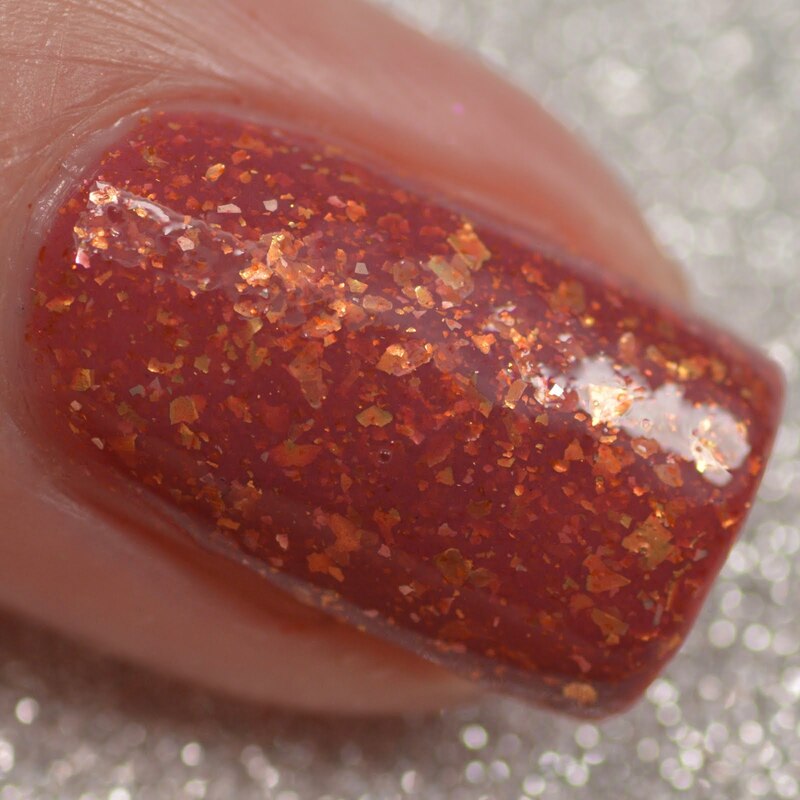 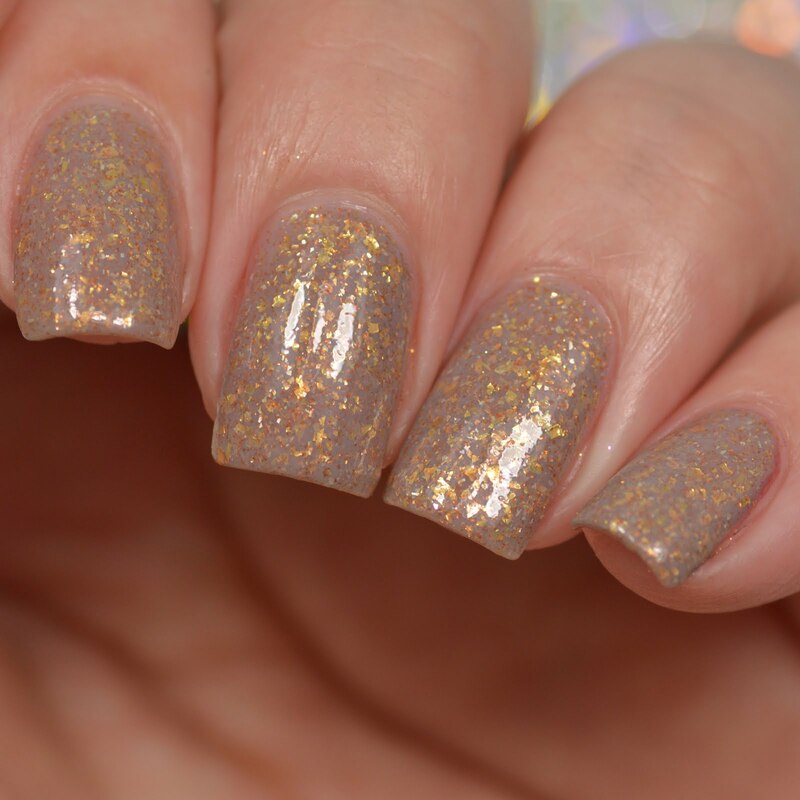 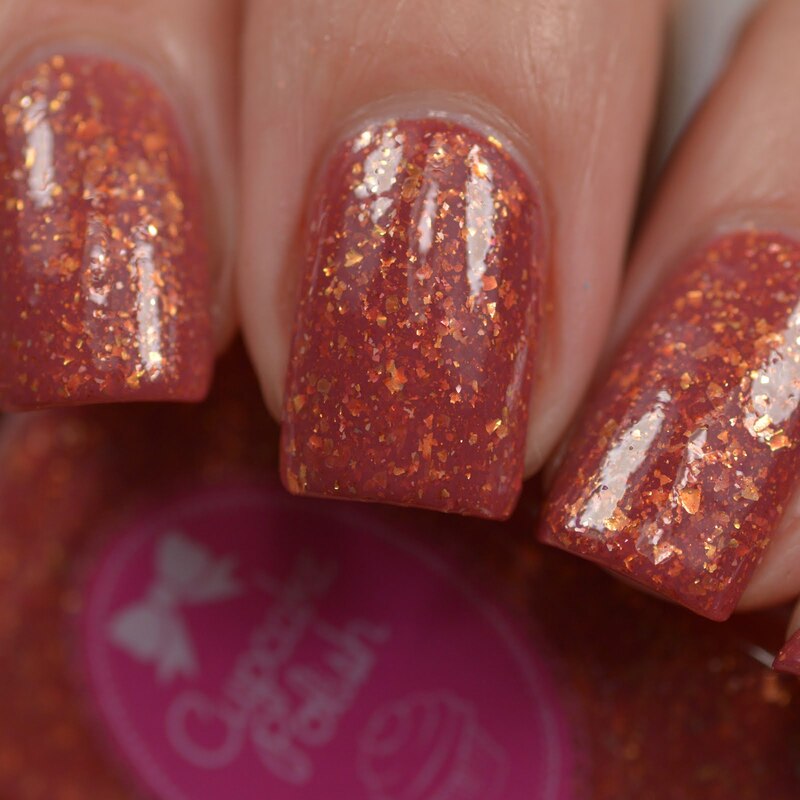 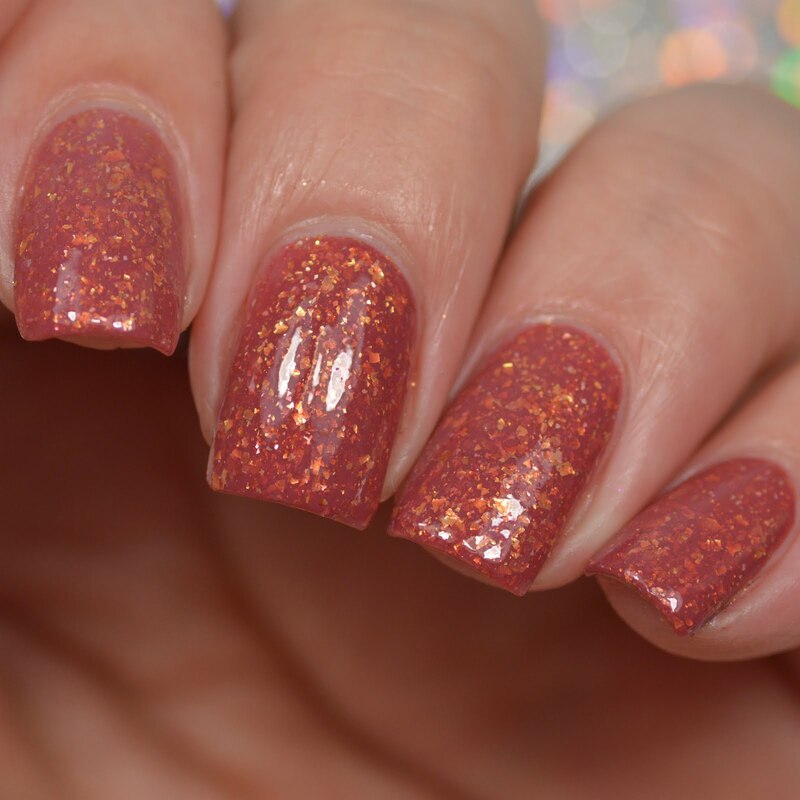 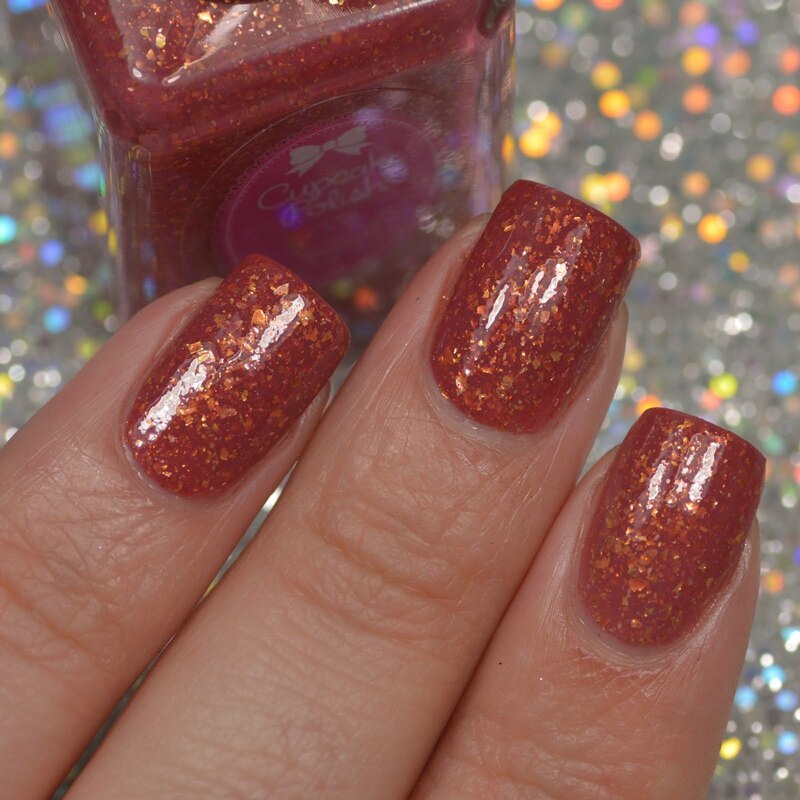 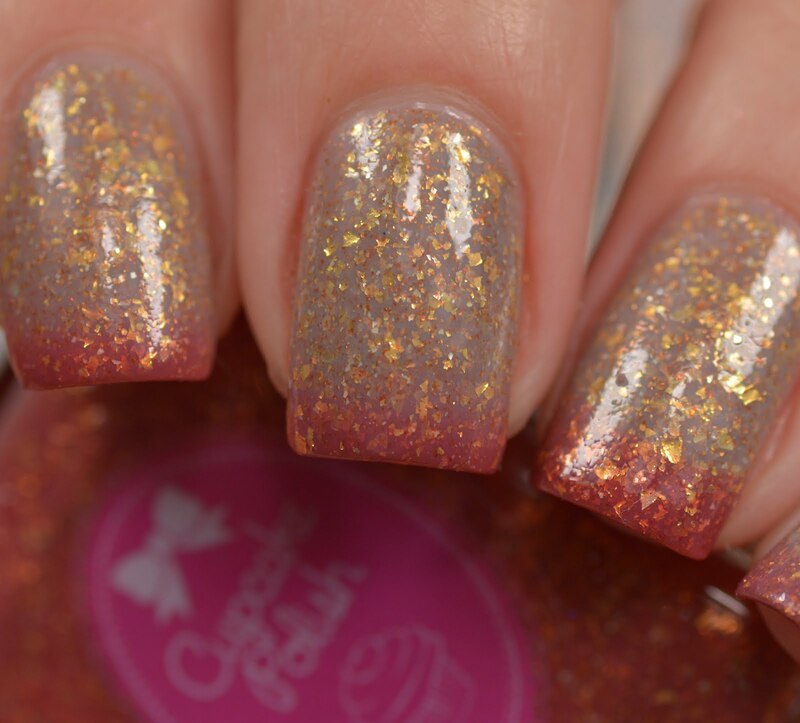 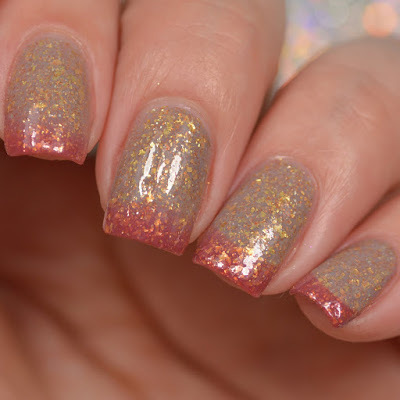 Grunge is a thermal polish that is described as a brick red to grey/beige crème based polish packed with copper shimmer and silver and gold flakies. 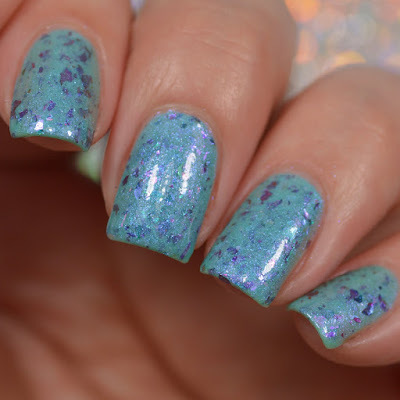 Grunge has an excellent formula. 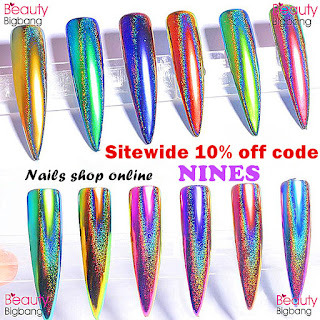 It applied smoothly and evenly and removes easily. 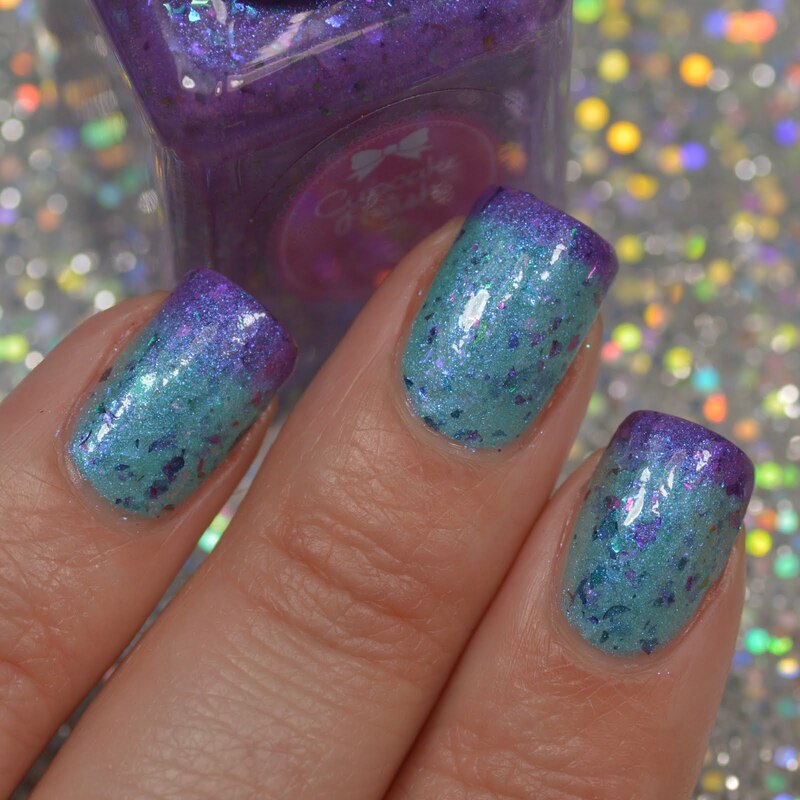 Swatches show two coats plus a glossy top coat. 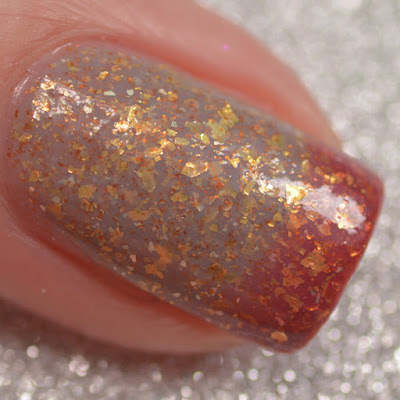 Swatches below show the warm state. 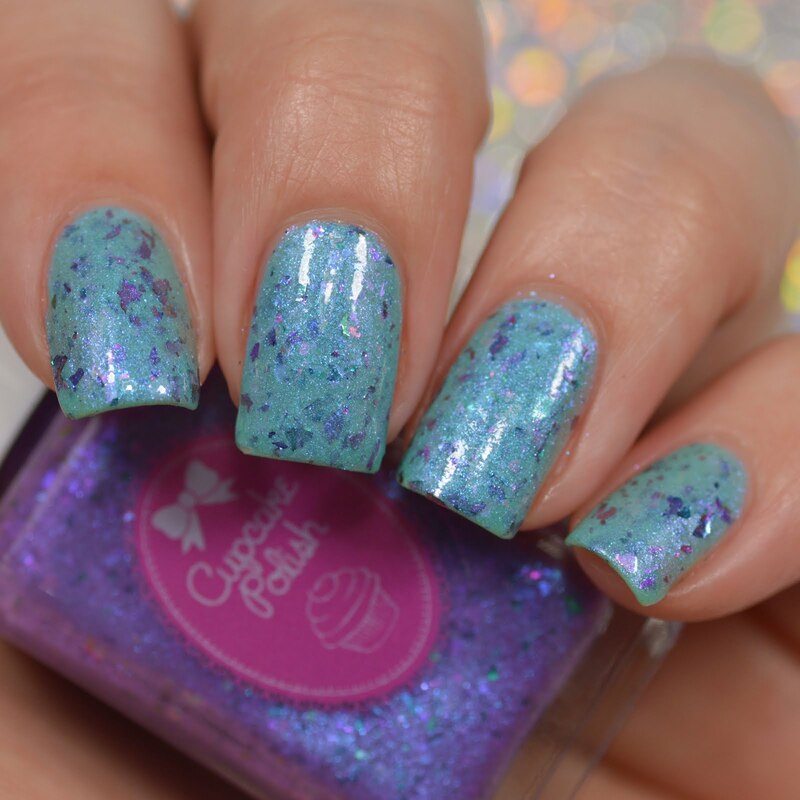 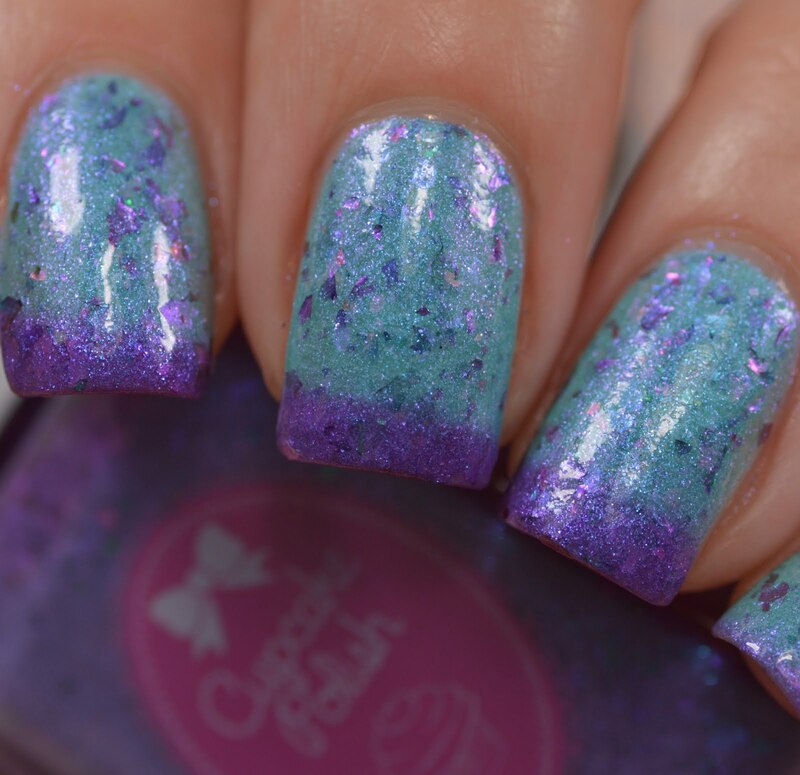 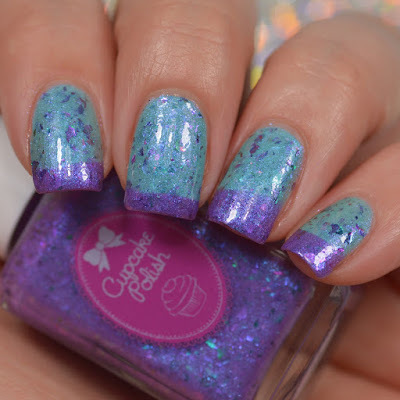 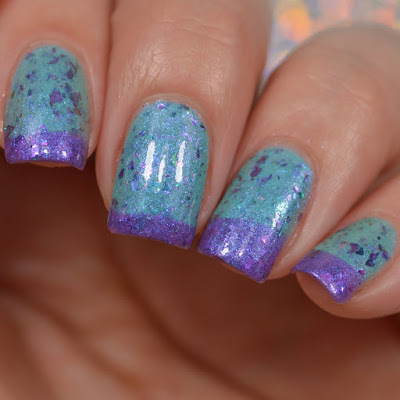 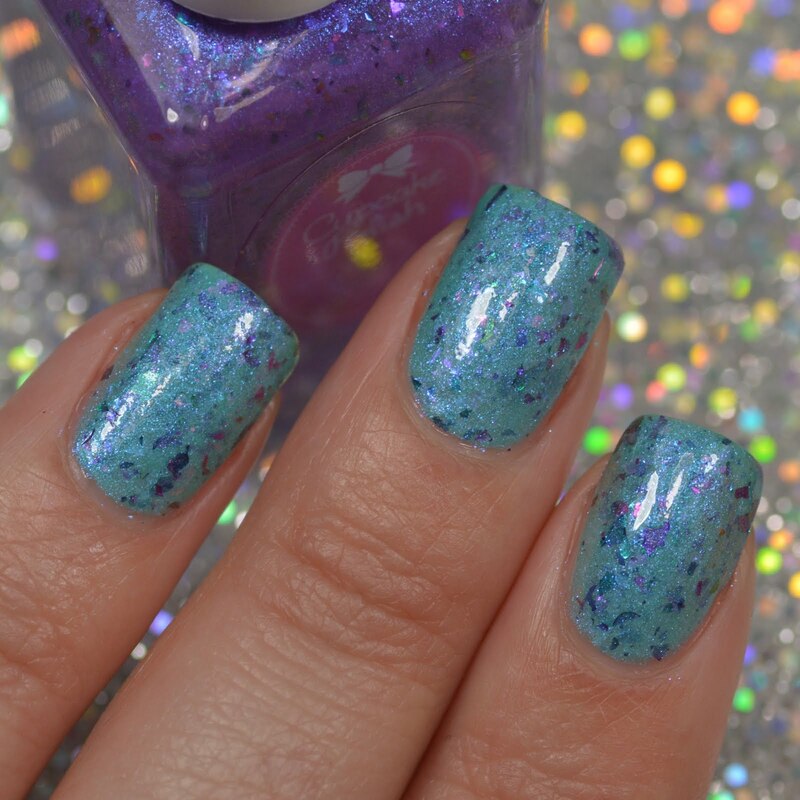 VHS is described as a purple to teal shimmery thermal nail polish filled with blue to pink shifting shimmer, blue/teal/purple/pink shifting metallic multicrome flakies, and blue/purple/pink/gold shifting iridescent flakies. 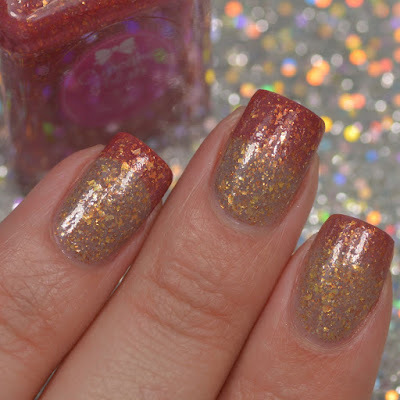 VHS is gorgeous!! I wore this one for several days. 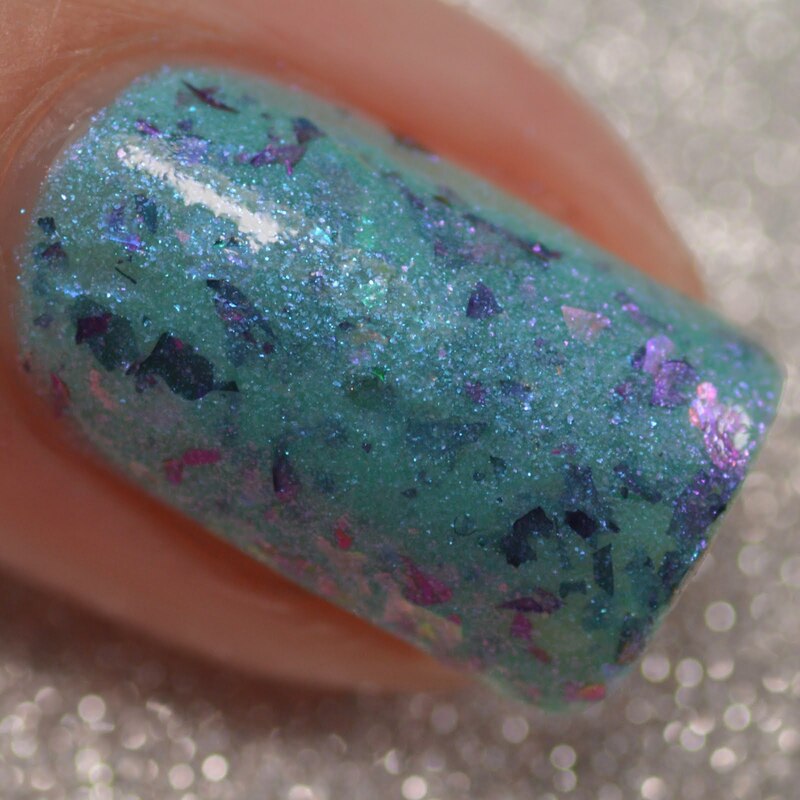 It's so shimmery and that warm color is such a perfect and vibrant blue, I couldn't get enough of it. The formula on VHS is excellent. 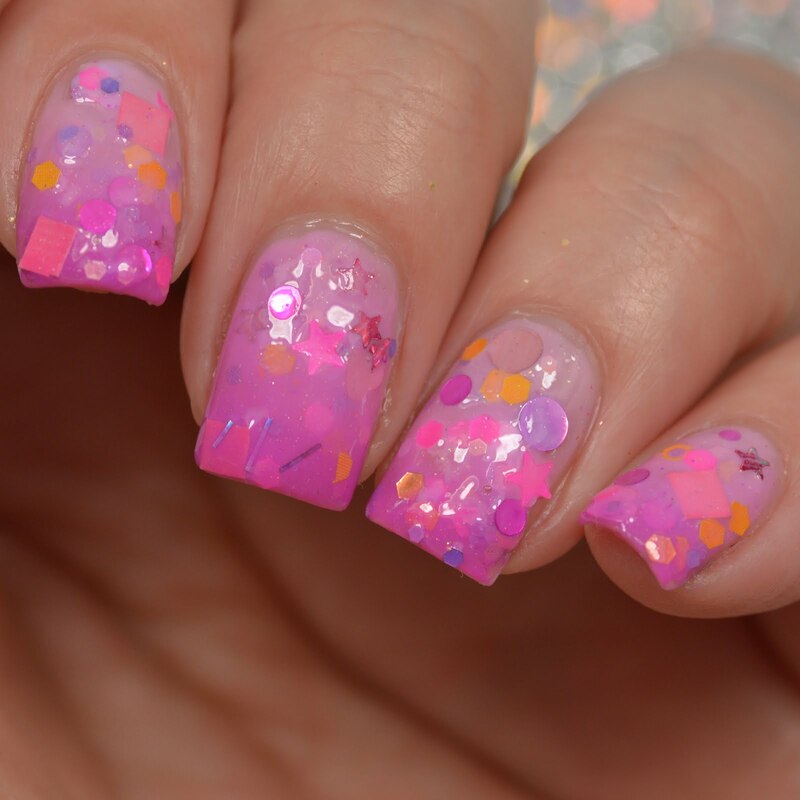 It goes on very smoothly and evenly and removes easily.